Royal atmosphere in the heart of the Alpine Town. 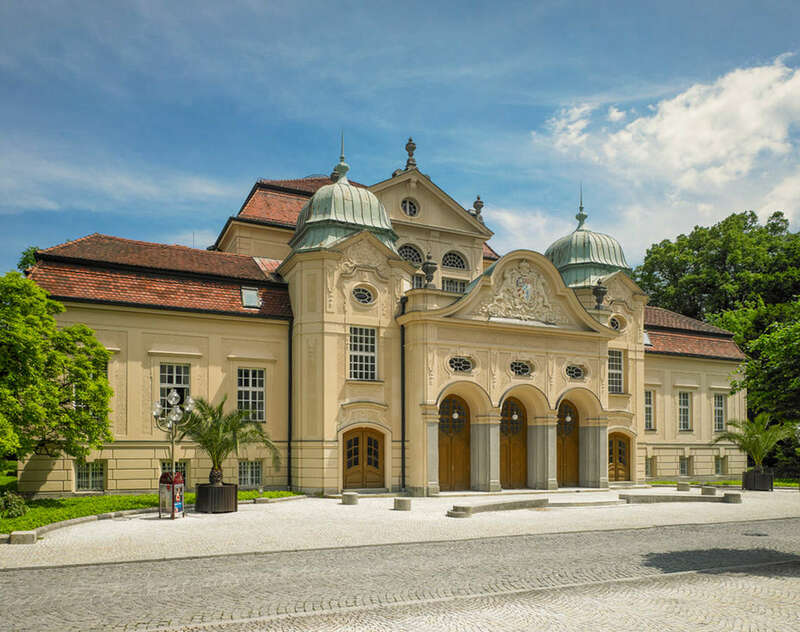 The Königliches Kurhaus, built in 1900 by Max Littman, portrays the Bavarian monarchic spa setting in an exclusive way. 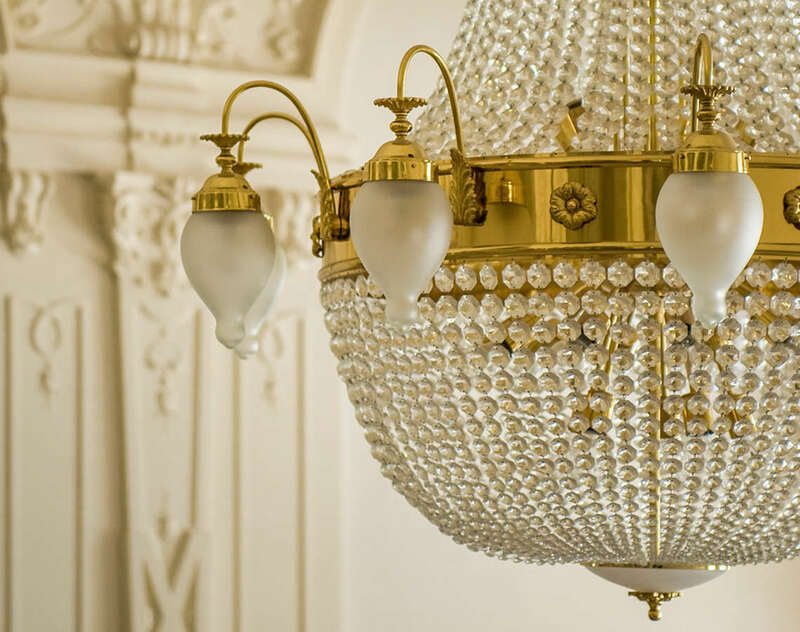 Stucco, Untersberg marble and splendid chandeliers fuse to form a noble composition. 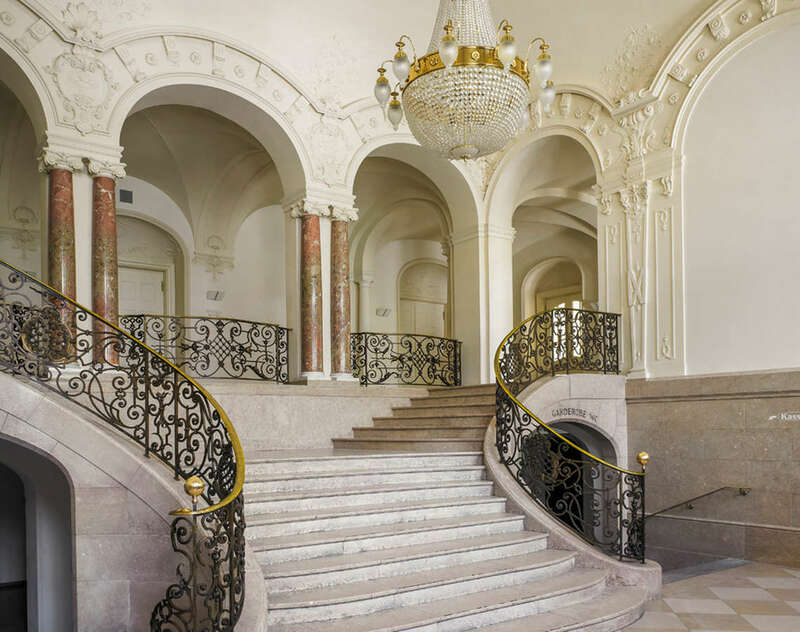 The freestanding staircase in the magnificent foyer already provides for an impressive entrance to this renaissance and baroque-inspired building. The sumptuous ambience accompanies visitors throughout the gallery and the individual halls, with valuable silk wall coverings and stately ceiling paintings. 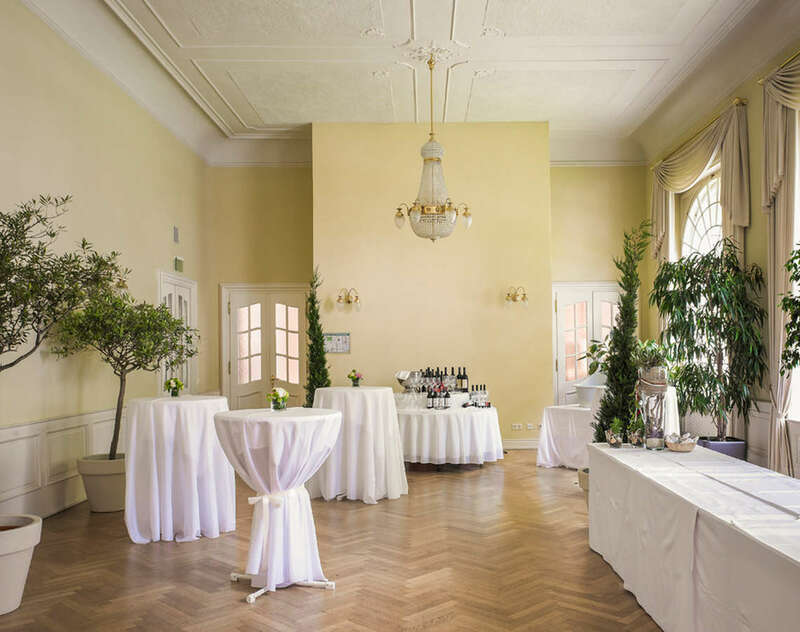 Stylish elegance awaits visitors at the Königliches Kurhaus, located directly by the pedestrian zone and the Royal Spa Garden. A terrace leads straight into the sumptuous park with the AlpenSole open-air salt inhalation facility and AlpenSole brine fountain. This maritime flair is especially pleasurable during the summertime. 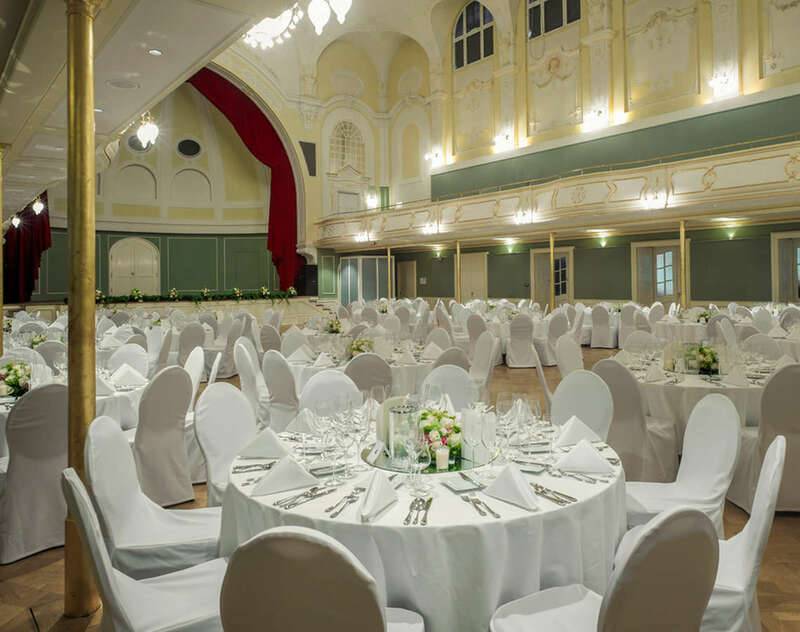 With its five halls, the Königliches Kurhaus offers flexibility for all types of demands set in an elegant ambience. 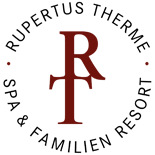 Weddings, concerts, balls, festive events, Christmas parties, conventions, markets or fairs – anything is possible. The spacious terrace offers additional event space, providing beautiful views of the surrounding mountains and Royal Spa Garden. 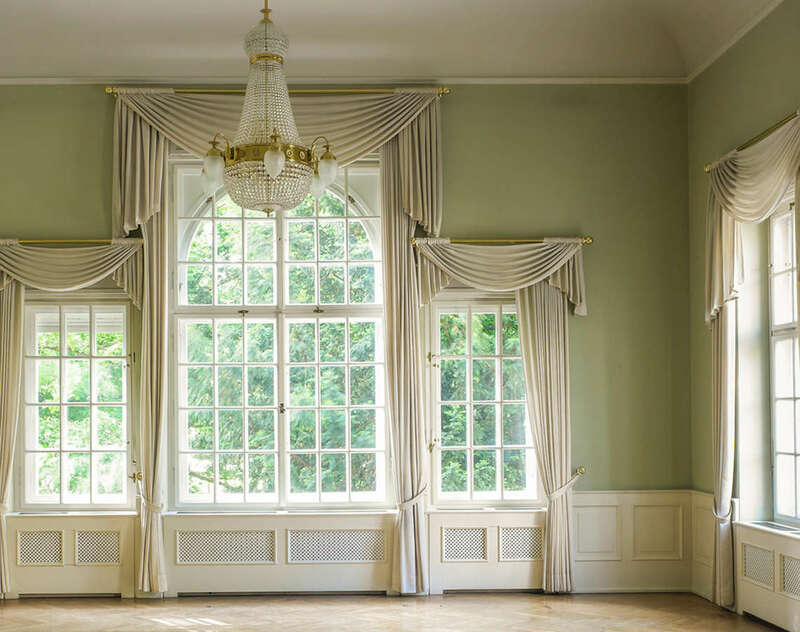 Large windows and doors afford light, while air conditioning and state-of-the-art technology create the perfect atmosphere in a regal setting. 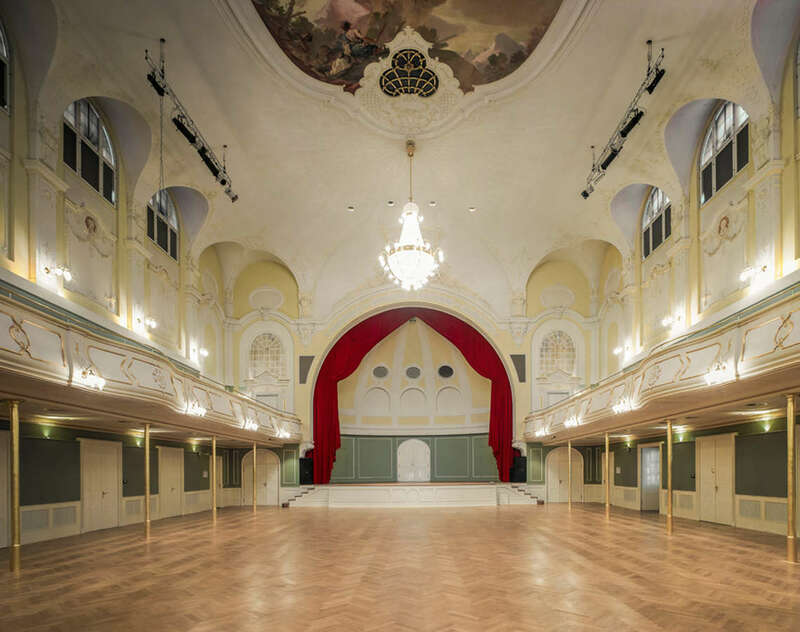 The main hall in the Königliches Kurhaus. 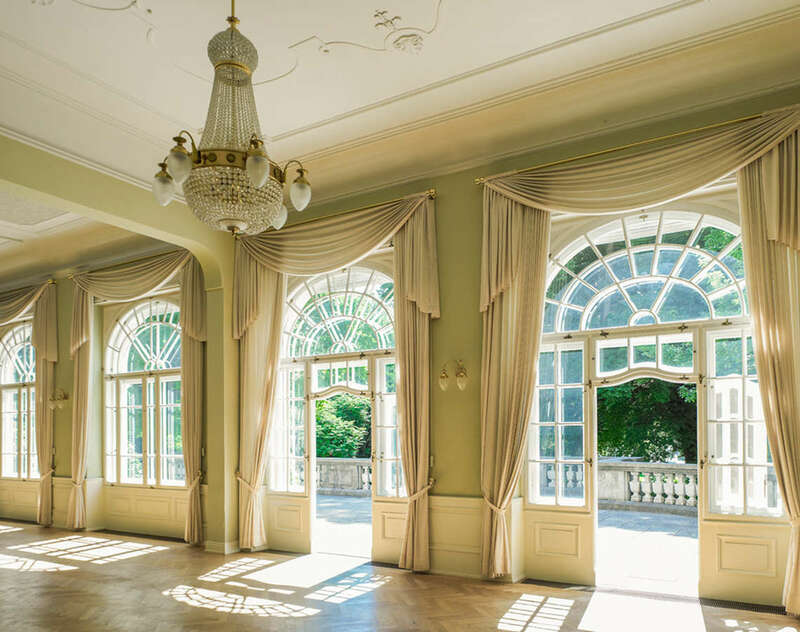 This light-flooded hall in the Königliches Kurhaus is a winner with its spacious terrace and the superb view of the Royal Spa Garden. 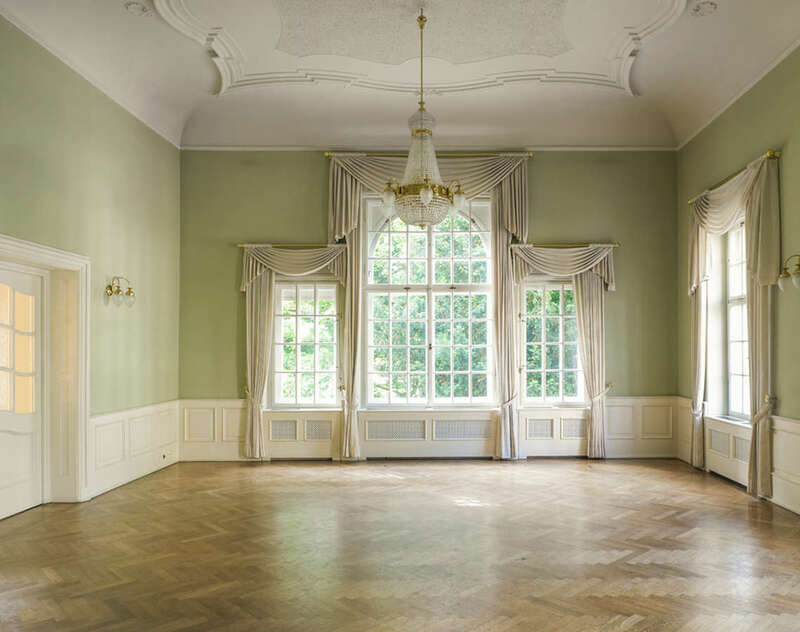 The Theresien Hall in the Königliches Kurhaus is perfect for small exhibitions and presentations. Natural daylight pleasantly illuminates this stylish hall. 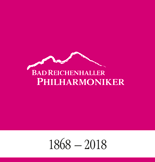 Enjoy the stately atmosphere of the Augustus Hall in the Königliches Kurhaus.